The Sports Media Camp brings Milwaukee students together for a 4-week summer program to teach them the fundamentals of digital sports media. 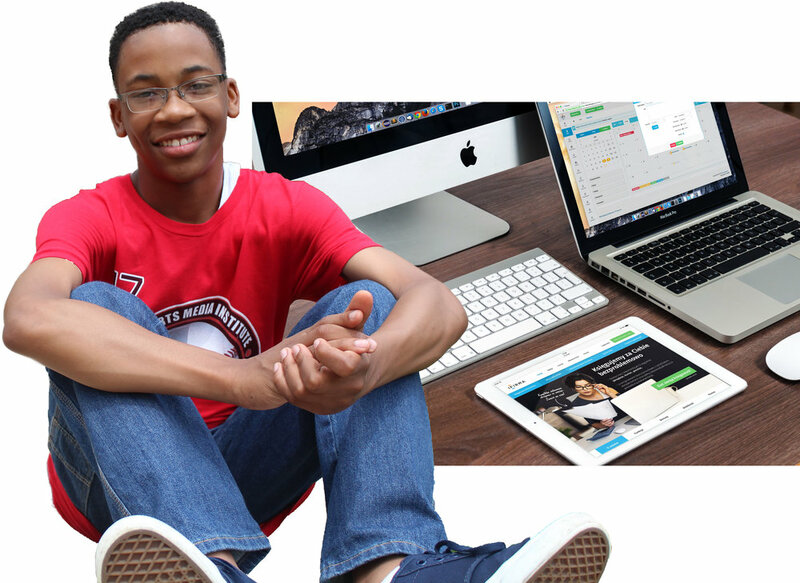 We equip teens with the training they need to create digital content. Students learn how to film and edit videos, write scripts, graphic design, interview, and more. The Sports Media Institute has a vision for our community where diversity is embraced in the workplace; where the gap between education and work force skills is closed; and where the influence of media is put to good and responsible use. To develop into a year-round after school program where students apply their knowledge from the summer camp, and create content for our media outlet, PlayHard Teen Sports. At SMI, we strive to expose our students and media consumers to diverse, yet balanced, views of mass communications coverage. By covering sports related content, students get to see and understand their field of interest up close and personal. Our goal is to get our students to be productive sports media producers. Through the PLAYHARD Teen Sports brand, students have a platform to produce high quality content and achieve tangible outcomes. Through the experience, we hope to prepare our students for any opportunity they face in their preferred field of choice. "Winning is a habit" is what we live by, and by implementing that philosophy to our work, we believe that each student can succeed on any level they would like to pursue.